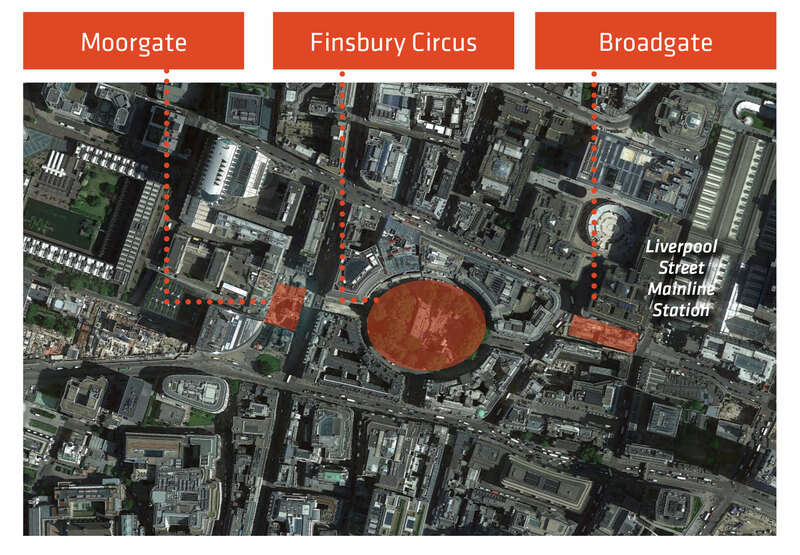 A series of archaeological excavations were carried out at Moorgate, Finsbury Circus, Liverpool Street and Broadgate. The largest was to the south of the old Broad Street station, west of Liverpool Street station. Unusually on the Crossrail project, here the entire footprint of the ticket hall was excavated. One of the deepest and most complex of digs on the Crossrail project, this site turned out to be the most archaeologically rich. Eighty archaeologists worked on the site intermittently over a five year period and retrieved thousands of objects, many of them Roman. 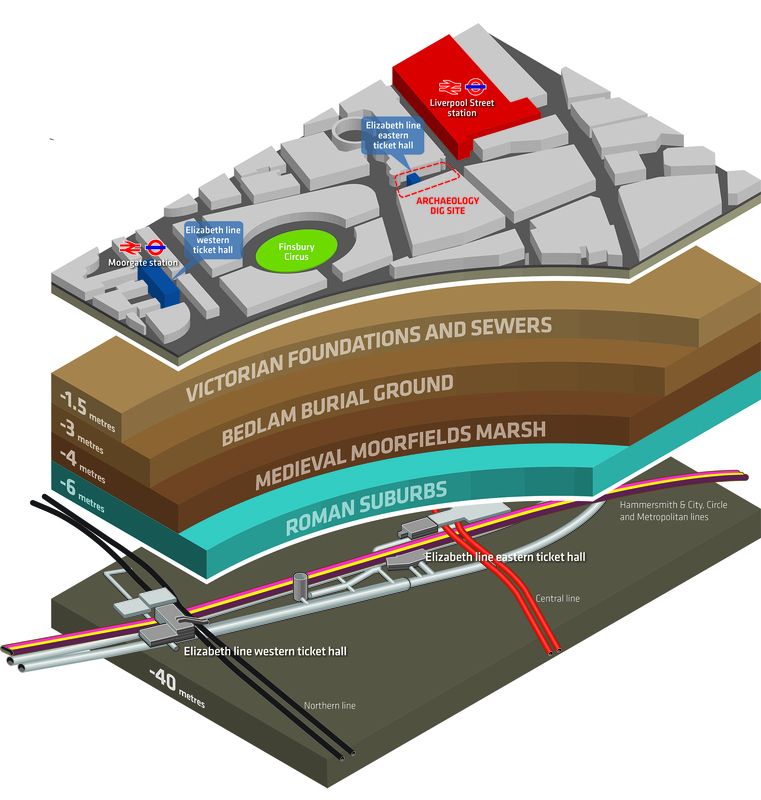 No other site better illustrates the layers of history beneath the streets of London where different depths of excavation revealed Roman, medieval and Victorian artefacts. In Roman times this part of London, just north of the City wall, was dominated by the Walbrook river which flowed south into the Thames. 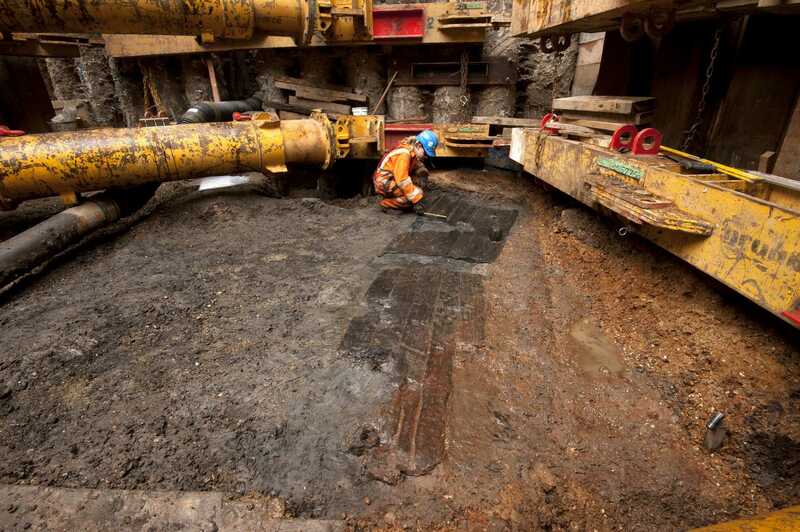 The large excavation at Liverpool Street lay on the eastern bank of the Walbrook. There was little activity here until AD 120 when a road was built across the site to the north and a platform was constructed on the riverbank using two wooden gates. The road surface survived so well in places that wheel ruts could be seen. Substantial ditches ran along the side of the road. Towards the end of the Roman period, the ground became increasingly marshy. This was partly due to the diverting of the river under the city wall, when it was built at the end of the 2nd century. These wooden gates were placed on the eastern bank of the Walbrook river to form part of a platform. The timber for the gates was identified by dendrochronology as having been cut between AD 110 and 134.